Two 3 oclock for scrolling weather location, current temperature, current conditions, HI LO temps. Second tap shows next appointment. Tap left side of weather window to update weather. Tap center of hands to make them temporarily disappear. Tap 9 oclock- To cycle through 4 levels of additional dark filters. 4th Tap is complete darkness Theater Mode. Tap 6 for ambient options. 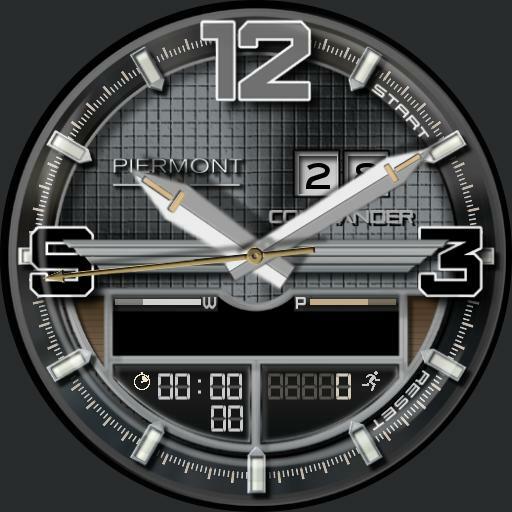 Tap Piermont logo to advance ucolor for dim mode only, tap 10 oclock to scroll ucolor backwards. Tap Start and Reset to operate stopwatch. Shows steps, date, phone and battery levels.